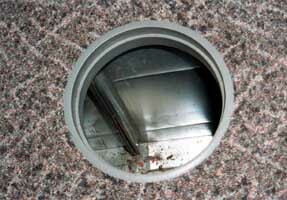 What is an underfloor plenum? An underfloor plenum is the open space between a structural concrete slab and the underside of a raised access floor system. Commonly used as the service plenum for distributing power, voice, and data cabling, in UFAD systems supply air is also delivered through this space. The installation process for both air and cabling systems are similar, reducing the construction costs associated with conventional practices of separating overhead air and standard methods of cable management. 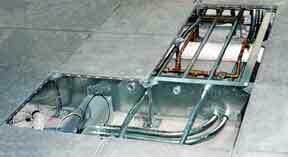 An accessible service plenum located directly below the floor has proven to be very effective for cable management. In the case of UFAD systems, it not only allows fresh conditioned air to be delivered near the occupants, but also provides an opportunity for occupants to have control over this air flow.